I was waiting for a long time to post this painting, but forgot about it. So thought of posting it now. This painting was created by me for a painting competition conducted by Jeeyar Educational Trust in August 2013. 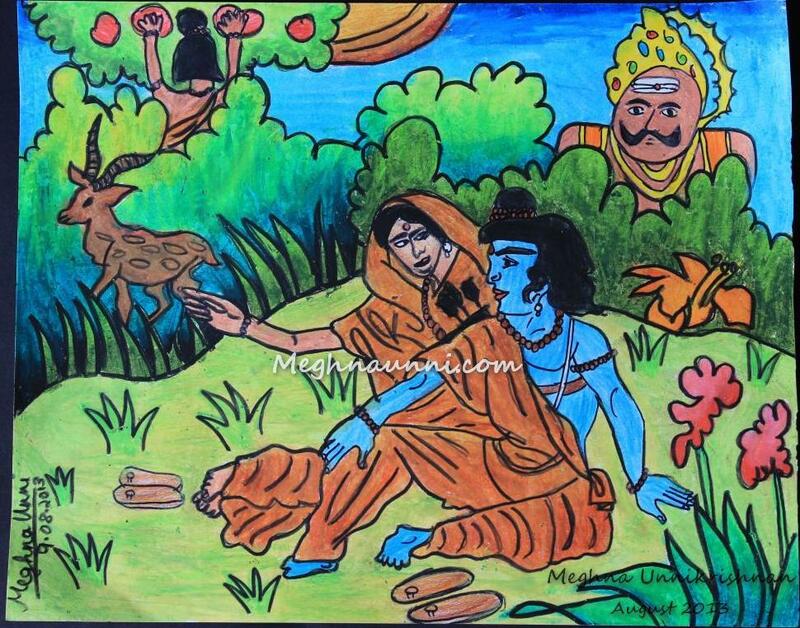 The theme was the scene from the Great Indian Epic Ramayana – Sita showing the Golden Deer to Rama (Before Ravana taking Sita to Lanka). Ravana is also shown in the painting as he is peeping through the bushes. 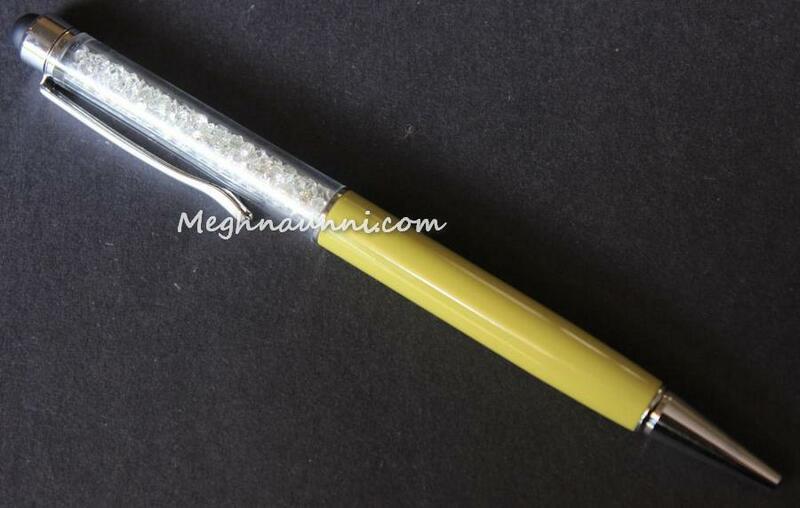 I won first prize for the drawing and a silver flake pen was presented to me at the venue. Prize Distribution still awaited.